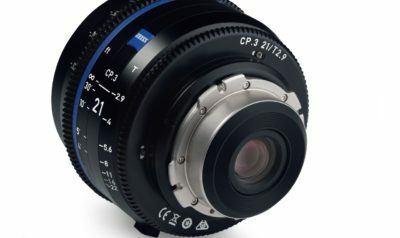 Zeiss is launching the new ZEISS CP.3 and CP.3 XD Cine Lenses. In this regard they are having a workshop on Friday 23 Jun 2017, at The Modena Hall, Waterstones Hotel, Mumbai from 11 A.M.- 5 P.M. 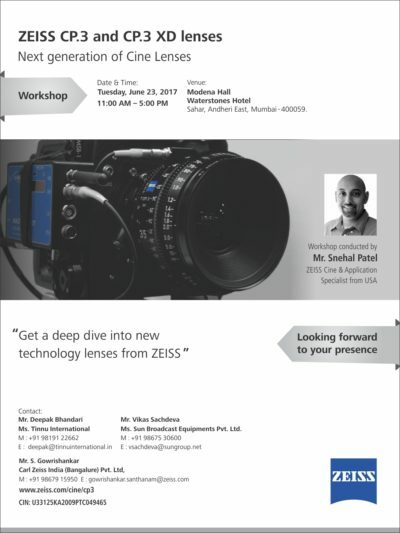 Please find attached Invitation for the same. You are cordially invited to grace the occasion and make your presence felt for the event. /i Technology and provides information about the lens’ distortion and shading characteristics in real time. 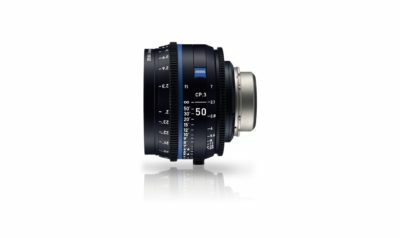 With the ZEISS CP.3 XD lenses, even small productions on a limited budget gain access to the advanced techniques common in state-of-the-art, big budget films, commercials and television shows.